Thanks - fixed. Is there some easy way of telling the difference? 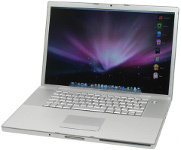 Only aluminium 13" MacBook without the "Pro" moniker was late-2008 unibody MacBook which was later replaced in summer 2009 by the first 13" MacBook Pro. You can't tell them apart until you see either the left side or bottom of the laptop.